Umar bin Khattab surrounded the house of Fatima to see if anything from the Public Treasury was kept there; that he may distribute it among deserving people. The fact is that the incident of attack of house of Lady Fatima (s) in the view of Ibne Taymiyyah was a proven thing and which cannot be denied, even though he tried to justify it and give it an unacceptable form, which is not concealed from any sane person, but even he cannot deny its factuality. Minhajus Sunnatun Nabawiya, Vol. 7, Pg. 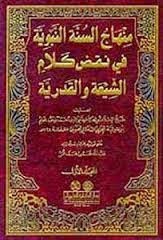 90, Ahmad bin Abdul Halim bin Taymiyyah Abul Abbas Harrani (d. 728 A.H.), Edited: Dr. Muhammad Rishad Salim, Mausisa Qurtuba, First edition, 1406 A.H.